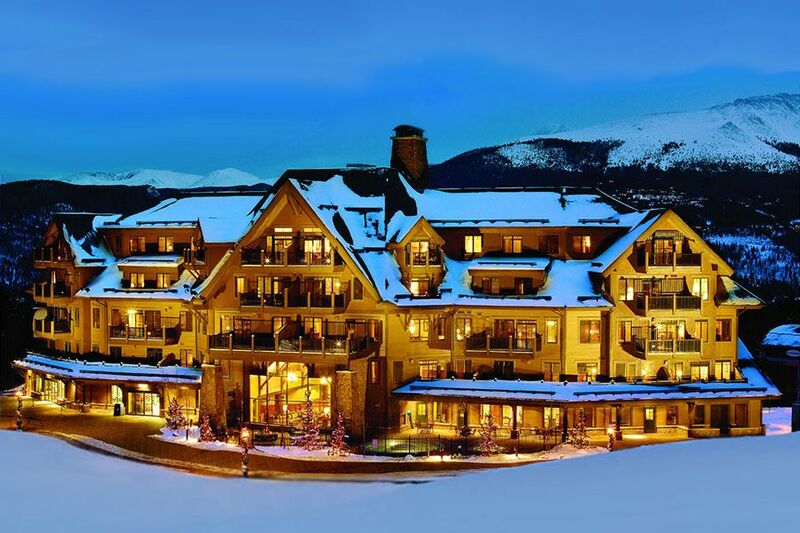 Welcome to the Ultimate Condo in Breckenridge's premiere ski in/out location known as the Crystal Peak Lodge. Unit #7500 is unmatched in location, quality of furnishings, views, and all around appeal. The Views from the Balcony look directly on to the Breckenridge Ski Area, Independence Super Chair, the BreckConnect Gondola with unparalleled views of the Peaks. You also have majestic Baldy Mountain Views and town views from one of the three master suites. Living/Dining Area. Furnished with top of the line rustic leather sofa's, rustic coffee and end tables and a beautiful dining table with 8 chairs. This room also boasts a 46 inch flat panel TV, DVD player, surround sound system and a beautiful moss rock fireplace. The Kitchen in unit #7500 is above and beyond. Decked out with rustic cherry cabinets, Viking Appliances and Granite Counter Tops. The Kitchen boasts a granite breakfast bar with 5 counter height bar stools and provides excellent additional dining space for your group. The kitchen is fully equipped to make that gourmet meal. If you would rather not cook we offer a private catering company that can cook that gourmet meal for you to enjoy in the comfort of your penthouse property. Please inquire for private catering. Unit #7500 has 3 Master Suites all with King Beds, Private Bath's and Flat Panel TV's, DVD players and not to mention top of the line rustic furnishings and extra comfy beds. The Den has been converted into another bedroom with Queen Bunk Beds and a Queen Trundle Bed with sleeping capacity for 6 adults. This bedroom has another flat panel TV and a Playstation 2 gaming system. Just when you thought you have found the perfect property for your Breckenridge, CO vacation wait there is more!!!! The Crystal Peak Lodge features 2 large hot tubs, a massive steam room, top notch fitness center, Pool Table, Outdoor fireplace and Outdoor Fire pit, beautiful social areas both indoor and out. Complex also offers heated indoor parking for 1 car, van or SUV. Perfect accommodations just steps from Peak 7 lift. We had 3 generations (9 people) staying at Crystal Peak Lodge and everyone loved it! Our father enjoyed the easy access to the slopes - a quick elevator ride to the ski locker and out the door to the lift - so it was easy to keep up with the teenage grandkids. Our mom, who doesn't ski anymore, took the gondola to town during the day and explored the shops. The unit was fantastic for our group - we could stop in during the day for a quick lunch and there was plenty of seating for watching March Madness at night:) The kitchen is fully equipped with a great oven and every type of pan or gadget you need to prepare a great meal. Our whole family fit at the dining table and we enjoyed delicious, healthy meals prepared at home. The hot tub was great and never crowded. The bartenders at O'Sevens were really friendly and we enjoyed several afternoons on the patio. We liked that we could swap out our ski boots for our regular boots at the easily accessible ski locker. The bedrooms were spaced apart so they felt very private. It was very comfortable accommodations for my husband & I, our teenage children, and my parents. The unit even had some sleds, which our boys ran up on the hill after they were done skiing for the day. Crystal Peak is in a perfect location! I highly recommend it for families with different interests. This Penthouse has everything you feed for a great stay with a larger family. We had a great time and found the location was perfect. Took advantage of the bowling and movies at One Ski Hill. Ryan was always available to help or answer questions. Plenty of room for our family. Kitchen was well equipped and clean. We had fabulous new snow for our stay and the lift is steps from the door. Amazing penthouse views and very responsive owner. Shuttle to town or gondola were super easy to use. Would love to stay here again next year. The penthouse was very nice, but the shining star is the location. If your group consists of blue/black skiers, this ski-in ski-out Peak 7 location is the best. Walk out to the Independence lift, and ski rolling blues like Monte Cristo and Wirepatch within minutes. Come back to the penthouse for lunch and save some $$. Go over to Peak 6 for some advanced trails. If you have beginners, Peak 8 or 9 is probably better. But Peak 8 is a short gondola ride away. We spent Christmas 2018 in this penthouse and we loved our stay. Ryan was wonderful to work with and every expectation he set from the property itself to him meeting us upon arrival was met. Working in the travel hospitality business, I can say it was refreshing to see it done right. The unit has nice space and we found it the same as it was described. The view of the mountain, skiers, and base 7 made for relaxing mornings and evenings. The property has a hot tub, ski lockers, and a workout room if the slopes don't give you enough workout. The shuttle service the unit has access to was definitely a treat and we always enjoy staying in properties with this option. The drivers were always friendly and the wait times were minimal. Parking at the property is possible and we recommend talking with Ryan about your needs prior to arriving. Regarding things you should know: If I had to pick one thing to mention I would have to say that I felt like one of the bedrooms was a lot smaller than I would have hoped. It had a large bed but it was just smaller space than the other three. So someone will get the "small" room. With that said, all the rooms are nice and comfortable but there is one small room. One of the rooms had oversized bunkbeds which worked perfect for an adult and two kids. Overall: We would stay here again in heartbeat. And we have no reason not to trust Ryan on future recommendations for our family. We look forward to our next mountain trip. Enjoy your time in Breck!! !